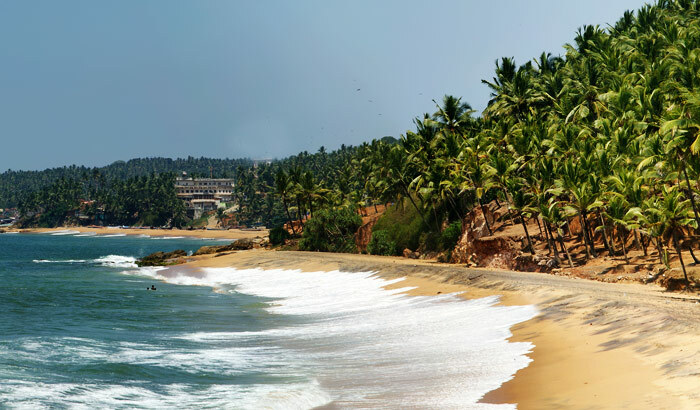 Kovalam : Kovalam is an internationally renowned beach with three adjacent crescent beaches. It has been a favourite haunt of tourists, especially Europeans, since the 1930s. A massive rocky promontory on the beach has created a beautiful bay of calm waters ideal for sea bathing. Akkulam Lake is a popular picnic spot, which is located around 16.6 km away from Kovalam. The lake is basically an extension of Veli Lake, where it merges into the sea. The main attraction of this lake is the boat club, where boating can be done. Besides the lake, this place also has a children’s park, swimming pool, an Anthurium Project and a snack bar.